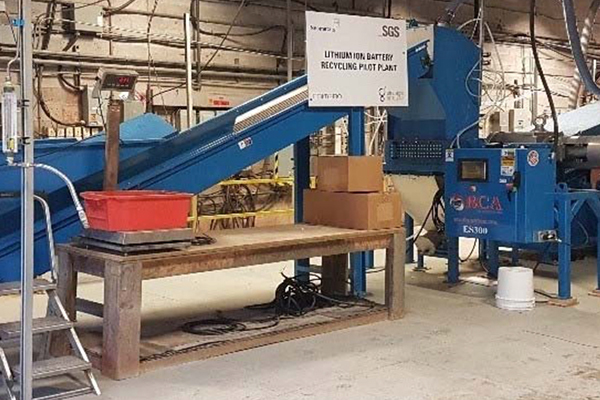 Perth-based developer of industrial minerals projects Neometals has commissioned the first stage of its lithium-ion battery recycling pilot project with SGS in Canada. The company plans to shred the disused batteries — which still have some charge left — to remove the plastic and steel casings, while upgrading the lithium, cobalt, nickel powders (and shredded copper and aluminium foil) into a black powder for use as feed material for stage two hydrometallurgical processing. Once the pilot is complete, a front-end engineering and design study and feasibility study are planned to test the system’s commercial viability.